FLIR recently held a webinar featuring members of the Los Angeles Fire Department, discussing how they utilize drones in public safety. I attended the webinar live, and was able to pick up a few tidbits of valuable information about how LAFD is using them in a variety of applications. Even if you missed the webinar, the good news is that FLIR has published a replay of the event which you can watch right here! Hosting the webinar is FLIR Systems own Brett Kanda, along with LAFD’s Derrick Ward who also is the owner and operator of Hot Shots Aerial Photography. What are your thoughts on the webinar? One of the biggest takeaways that I had is the there is a great opportunity here for the small operator. There are a couple of large operations like the LAFD that can purchase their own equipment and manage their own teams, but there are a lot of smaller ones that can’t. That is where the smaller operators with the right equipment will be able to come in and assist. 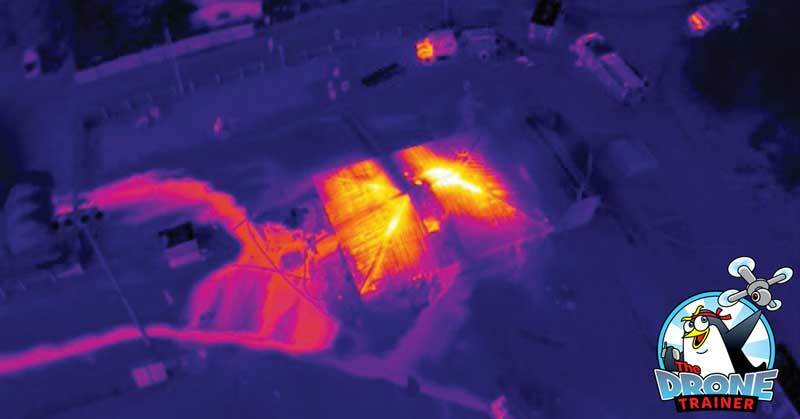 There have been several mentions of infrared drone work on my weekly drone podcast, so hearing it again straight from FLIR and LAFD is another vote of confidence! Is infrared something that you’d like to explore? If so, feel free to shoot me a message and I’ll let you know about a little project that I’m working on to show you exactly how to deploy infrared capable drones!